The Shabby Chic look is not only in season, but in full bloom. 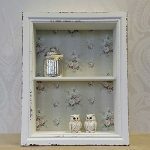 A shabby chic display cabinet with a beautiful and coquette look is the perfect complement to your cottage style home. 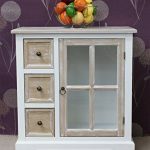 Traditional materials, beautiful pastel colours and a weathered look will make your display cabinet a beautiful “piece de resistance” in your dining or tea room. 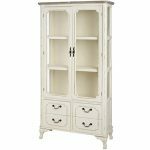 A shabby chic cabinet is at the same time an artistic piece, and a useful piece of furniture, both classic and modern on its own merit. A display cabinet will be the perfect addition for your beautiful, stylish home. You may find them in rustic wood, or in a wide range of pastel colours or lacquers. 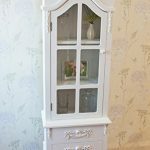 A shabby chic cabinet will make any corner of your home pop out in style, and even become a regular conversation theme with your visitors and family, due to the fact that most pieces are unique in lots of details and appliqués. The shabby chic style has a beauty and wonders of its own, since it brings out the nostalgic in us, taking us back to a simpler time, while remaining functional and chic, and keeping a special elegance in its beauty and functionality. 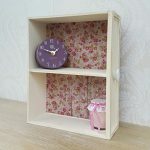 A shabby chic display cabinet brings this nostalgia and sweetness as a décor piece to any room, while giving you the useful functionality that a storage cabinet provides. The Shabby Chic look may appear unstructured and without many guidelines for the untrained eye, but it has a timeless aesthetic that definitely adds a unique personality to your home. 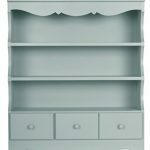 All are in a painted antique cream finish with traditional iron handles and fancy detailing. 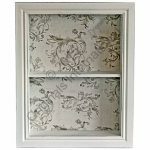 French inspired, Shabby Chic vintage look Casamore Limoges 2 Drawer Display Cabinet. Solid wood frame with a mildly distressed finish. Casing sways around the drawers. Finished in an antique white colour wash. Ideal stylish storage with 6 beautiful glass panels to front. 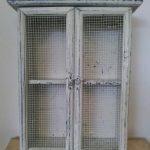 French inspired, Shabby Chic vintage look 2 Drawer Display Cabinet. Solid wood frame with a mildly distressed finish. Casing sways around the drawers, Finished in an antique white colour wash.
Casamoré Cotswold Shabby Chic 3 Drawer 1 Glass Door Unit is totally functional and eyecatching. 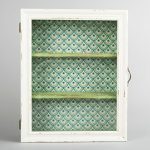 Elegant glazed cupboard and 3 useful storage drawers that has eye-catching appeal and will stand out in any setting.